Erpressung pure, als man das Partei Haupt Quartier der Opposition beschlagnahmt, und Original EU und US Erpressung und wie immer schreibt der EU Botschafter gefälschte Berichte. Sowas gab es noch nie in der Welt, 69 HÄuser der Partei beschlagnahmt. 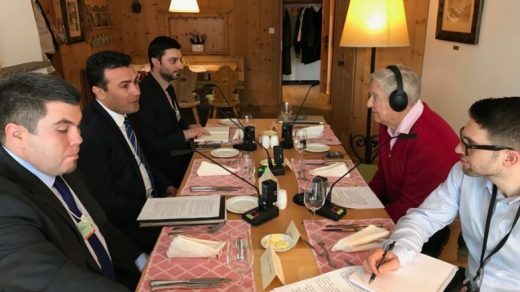 Der Verbrecher Zoran Zaev, hält sich in DAVOS auf. Amok Lauf eines Georg Soros Verbrechers. Sein Schwuchtel Sohn Alex ist auch dabei. Nach der Peinlichkeit des gescheiterten Referendums, kauft man für Millionen Stimmen, erreichte trotzdem für die Namens Änderung nur 80 Stimmen, wo die Verfassung ein 2/3 Mehrheit + vorschreibt. Im Wild West Stile einer korrupten US, EU und Berliner Politiker inhaftiert man Abgeordnete, zum Zwecke der Erpressung. Ausgeschlossen, von der eigenen Partei, weil man für viel Geld die Stimmen kaufte, Vladanka Avirovik Sasha Vasilevski, Eliza Kanceska-Milevska, Krste Mukovski, Emilia Alexandrova, Ljuben Arnaudov, Nola Ismailovska. 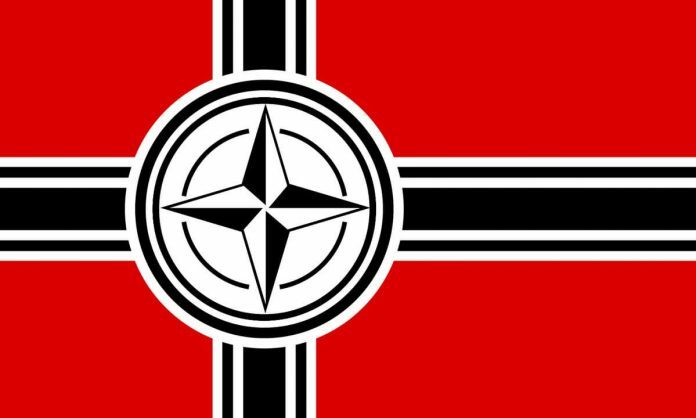 Ein Teil des Pro war Zecir Rançilloviq Abstimmung. Auch hier die Verteidigungsministerin, eine Georg Soros Tussi, ohne Berufs, nur korrupt. Before the vote took place yesterday, everyone was aware that the Macedonian Constitution clearly outlines the requirement of 81 MPs needed for a 2/3rd majority. We are not sure what Zaev was celebrating? If our math is correct, 80 < 81. EU und die gefälschten und gekaufen Abstimmungen in Mazedonien, so kann man jeder Demokratie schrotten, weil es schon lange geht. 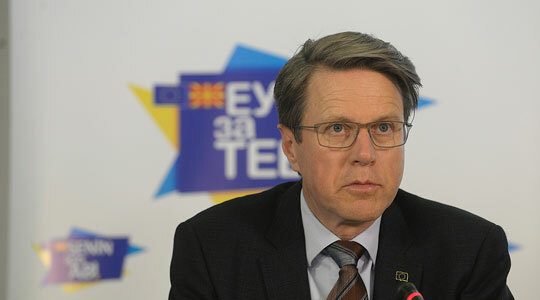 SEC employees with ties to the SDS gave EU’s representative to Macedonia, Slovenia’s Samuel Zbogar, Hahn and Mogherini the names of Macedonians working at the EU Mission in the capital who did not vote in the Referendum. Since then, all have been accosted and verbally abused that they will lose their jobs. Then the same EU trio (Zbogar, Mogherini and Hahn) forbid Macedonia’s public prosecutor office to conduct an inquiry into the massive Referendum fraud and the stuffing of ballot boxes. 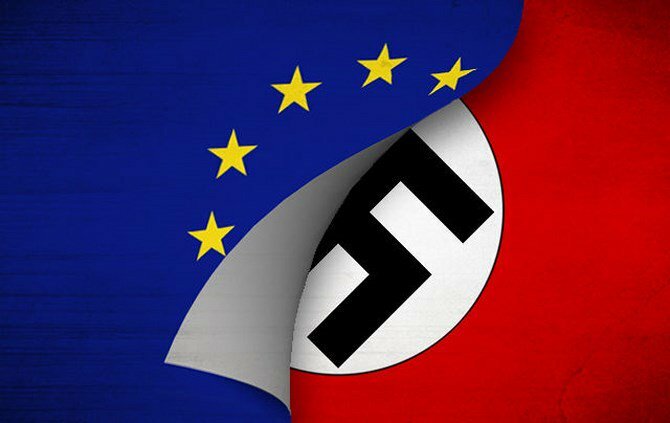 The EU needs fraud in the upcoming presidential elections, therefore no inquiry of any kind is allowed. Among other things, Zbogar falsified numerous reports in the EU in order to conceal Macedonia’s huge government corruption. A report on the bribery of MPs in Parliament was also forged. The EU office were informed back in July that Sasho Mijalkov had begun blackmailing and bribing MPs. Zbogar also failed to disclose the threats against MPs who refused to vote in Parliament. For the irony to be greater, Zbogar lied in the reports that DPNE MPs were threatened not to vote, when in reality, just the opposite was happening, MPs were threatened and blackmailed to vote. Essentially, in Macedonia there is an EU criminal junta supporting their local criminal junta. Current subversion operation for blackmailing and bribing MPs ongoing in Macedonia to illegally change country’s name despite failed referendum outcome.